FRIDAY NIGHT was a disaster for Guy Noves. The quarter-final home defeat to Racing Métro was bad enough for the reputation of the Toulouse coach, it but it was the sight of him at the dressing room door, ordering his medical staff to send the blooded Florian Fritz back onto the field that called into question the 60-year-old’s judgement. If you missed Fritz’s shocking injury then maybe it was just as well. It was one of the most distressing scenes you’re likely to see on a rugby field. Midway through the first-half the Toulouse centre took a terrible blow to the head in an accidental collision with Racing lock Francois Van der Merwe. As blood pumped from the gaping wound in Fritz’s temple his uncomprehending eyes gazed into the distance, what combat soldiers in the Second World War called the ‘1000-yard stare’. To everyone watching it was clear Fritz had been concussed. It was also apparent that, as the blood coursed down his face, he would not be able to continue. Fritz was led from the field by the Toulouse medical staff but even that proved too much, and he slumped to the turf where he remained for a couple of minutes until, finally, two staff helped him into the changing room. And that was the end of that, or so we assumed. Gael Fickou – no mean replacement – came on in Fritz’s stead and the game continued, though the sight of Fritz’s appalling wound lingered in the memory. But minutes later television pictures showed Noves at the door of the Toulouse dressing room, urging the medical staff to hurry in their work because the 15 minute blood injury time limit was nearly up. Moments later Fritz, the white strapping on his arm stained red, re-entered the arena, and played on till half-time when he was permanently replaced by Fickou. “I had a small KO. I don’t remember everything,” admitted Fritz later. The initial reaction from Toulouse fans was one of admiration with Fritz hailed as a “Guerrier” (warrior) on website message boards for his bravery. In the cold light of day, however, the overriding emotion is one of horror that he was allowed – even encouraged – to return to the field when he was in no fit state. It raises questions about the concussion protocol, which was clearly not followed by the match officials or medical staff in this case, but above all it raises questions about Noves and the duty of care that every rugby coach, no matter the level, owes the players in his charge when they have suffered such an injury. I have just watched the Youtube of Florian Fritz concussed byond comprehension and sent back by Toulouse. Simply awful. Jean-Claude Peyrin, president of the FFR medical commission, told Midi Olympique on Monday that what shocked him as much as the doctors’ alleged negligence “was the attitude of Guy Noves, who came looking for (Fritz) in the dressing room in order to get him back before the 15 minutes time limit for blood injuries expired”. Well, he would say that, wouldn’t he, seeking to blame the way the sport is run rather than examining his own performance. 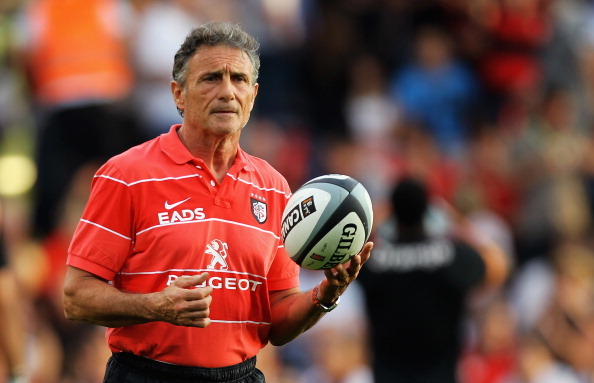 In the last two seasons Toulouse’s decline has been precipitous. The four times winners of the Heineken Cup haven’t progressed beyond the last eight of the tournament since 2011, and their failure against Racing last week wasn’t a great shock, even though it was the first time in three years that an away side has won a Top 14 quarter-final. In the Top 14 regular season Toulouse won 13 of their 26 matches, drawing two and losing the other 11. Contrast that with the 2011-12 season (the last time they were champions) when they lost just six league matches. 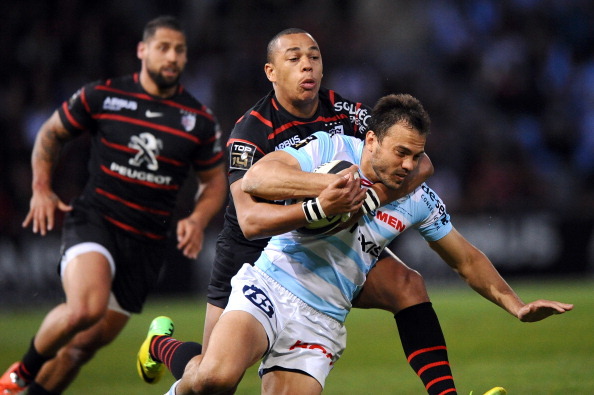 In 2010 Toulouse won their fourth European title by beating Biarritz 21-19 at the Stade de France, and who could have imagined that four years later the Basques would be relegated to Pro2 after finishing bottom of the Top 14. Toulouse are too good to be relegated next season but as long as Noves remains in charge they’re going to struggle to remain one of France’s premier clubs. In the past their budget has dwarfed that of most of their rivals – in 2013-14 it was €35.4m, nine million more than Clermont’s who boasted the second biggest budget – but the huge television deal agreed with Canal Plus earlier in the year will clubs on a more level footing. At its height the empire that Noves constructed at Toulouse was magnificent but in the end all empires must fall.